When did diplomatic relations begin? They first began in 1952 during a very tumultuous time in Lao history. However the first Minister to Laos, Mr. David McNicol, was appointed in 1955. Eventually the title of Ambassador to Laos was used. The first person to hold that title was Mr. Arthur Morris in 1963. In 2012, to commemorate 60 years of diplomatic relations, the Lao Ministry of Foreign Affairs, with support from the Australian Embassy, published a book focusing on the history of Lao-Aussie relations. It was entitled "Laos and Australia - Celebrating 60 Years of Diplomatic Relation" (ລາວ ແລະ ອົດສະຕຣາລີ : ສະເຫຼີມສະຫຼອງ ສາຍພັວພັນດ້ານການທູດ ຄິບຮອບ 60 ປີ). At that time, a song entitled "Friends Forever" was also created. It was sung by Mr. Volachit Intharaphithak. Australia is the only country to maintain the longest unbroken diplomatic relationship at the ambassadorial level with Laos. It maintains a high diplomatic profile and provides extensive assistance to Laos. It is also only one of two countries that has regular bilateral human rights dialogues with Laos (the other being the EU). The Australian government has made many high level visits to Laos. In turn there have been many high level visits by Lao government officials to Australia as well. 2015 October - A parliamentary delegation from Australia visited Laos as part of a broader visit of ASEAN countries. 2015 June - Lao Deputy Prime Minister Dr. Bounpone Bouttanavong visited Australia. 2015 March - Lao Minister to the Prime Minister's Office and Chairman of the Lao National Steering Committee on Human Rights Mr. Phongsavath Boupha visited Australia. 2014 September - Australian Minister for Education Hon. Christopher Pyne led Australia’s delegation to the 2nd East Asia Summit Education Minister’s Meeting in Vientiane. Australian Speaker for the House of Representatives Hon. Bronwyn Bishop also visited Laos. Dr. Dennis Jensen MP led an Australian parliamentary delegation to Laos to attend the 35th ASEAN Inter-Parliamentary Assembly in Vientiane. 2014 July 2014 - Australian Minister for Foreign Affairs Hon. Julie Bishop MP visited Laos. 2012 November - Australian Prime Minister Hon. Julia Gillard visited Laos for the 9th Asia-Europe meeting. 2012 - Laos’ President of the National Assembly Madame Pany Yathothou, along with Deputy Prime Minister and Foreign Minister Dr. Thongloun Sisoulith, and the Ministers for Education and Sports, Health and Planning and Investment, visited Australia. As with all relations there are ups and downs. 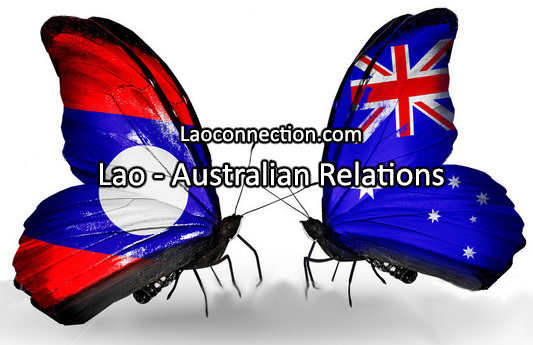 Lao-Aussie relations are no different in that regard however they have often remained strong. There was the notable Danes case in 2000. The incident involved 2 Australian citizens, husband and wife, Kerry and Kay Danes, who were managing a security company and performing work for a gem mining company. They were detained by Lao authorities for a year. Their release involved extensive assistance from the embassy and lobbying by the Australian government. The diplomatic row caused great consternation in Australia and its support for operations in Laos. How much trade does Australia do with Laos? For 2014-2015, Australia exported AUS$31M worth of goods and services to Laos and imported AUS$4M from Laos. Do the two countries have trade agreements? Any specific trade statuses? Yes. Both countries are parties to the ASEAN-Australia-New Zealand Free Trade Agreement that became effective in 2010 for Australia and 2011 for Laos. Additionally, since 2003, Australia has provided duty-free and quota-free access for Lao goods exported to Australia. Currently, the Australian government is participating in negotiations for a Regional Comprehensive Economic Partnership, which includes ASEAN and its free trade agreement partners. How much foreign direct investment flows from Australia into Laos? How much official development aid does Australia give to Laos? And what are the focuses of this aid? For 2015-2016, AUS$44.8M. The focus of Australian aid is on education, human resources capacity building and development as well as trade and economic reforms. How big is the Lao community in Australia? And which cities do they reside? There are an estimated 12,000 Lao people living in Australia. Most are situated in the larger cities like Sydney. How many Australian visitors and tourists come to Laos? For 2015, there were 7,800. Are there Lao students from Laos who go to study in Australia? Yes, many have been doing so for many years often through scholarships and grants. For 2014, 206 Lao students went to study in Australia. Who is the current Australian Ambassador to Laos? As of 2014, Mr. John Williams. Where is the Australian Embassy located in Laos? Contact info? Who is the current Lao Ambassador to Australia? As of 2012, Mr. Phomma Khammanichanh. 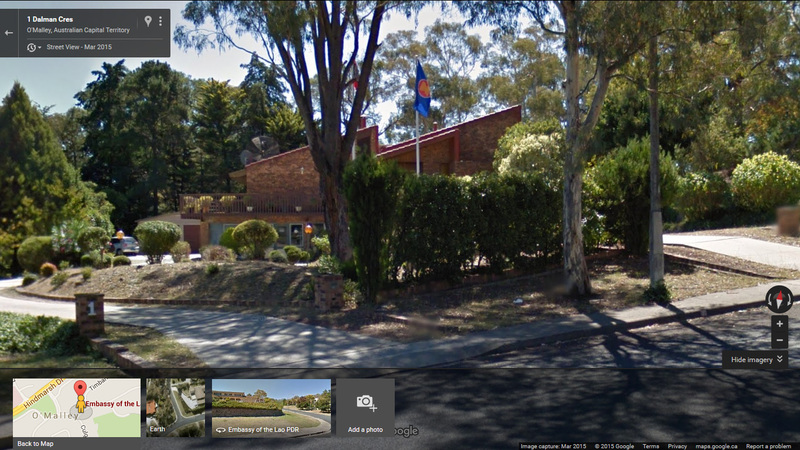 Where is the Lao Embassy in Australia? Contact info? Officially it is the Lao Embassy to Australia and New Zealand.